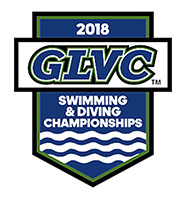 That’s what Crawfordsville High School Athletic Director Bryce Barton was trying to decide when he found out it would cost between $45,000 and $50,000 in aquatic facility improvements in order to continue hosting the Great Lakes Valley Conference Women’s and Men’s Swim and Dive Championships. Barton didn’t have the time or resources it would take to figure that out by himself, so he called on a group who did: our Center for Business, Innovation, and Entrepreneurship. A total of eight students came together to conduct an economic impact study, including CIBE Senior Partner Jake Budler ’17, and CIBE partners Miguel Ballestas ’21, Bryce Looze ’21, Charlie Esterline ’21, Duncan Roy ’19, Luke Podgorny ’20, Max Atkins ’20, and Ben Stachowski ’19. The CIBE allows students from all majors to develop their business skills. Podgorny, for example, is a psychology major. And though there were economics majors in the group, Atkins said completing an economic impact study was something none of them had ever done before. The group used several examples to figure out where to start and received a lot of help from a paper written by a business professor on how to complete an economic impact study for small-town sporting events. The students also contacted head coaches and athletic directors from all of the GLVC programs who participate in the annual event. At the completion of the study, the group found that the event has accumulated an impact of just over $990,000 during the last five years and is projected to have an impact of $1 million or more over the next five years. According to local newspaper the Journal Review, the CIBE’s economic impact study helped convince the city of Crawfordsville and the Montgomery County Convention and Visitors Commission to help fund the improvements to the aquatic facility.